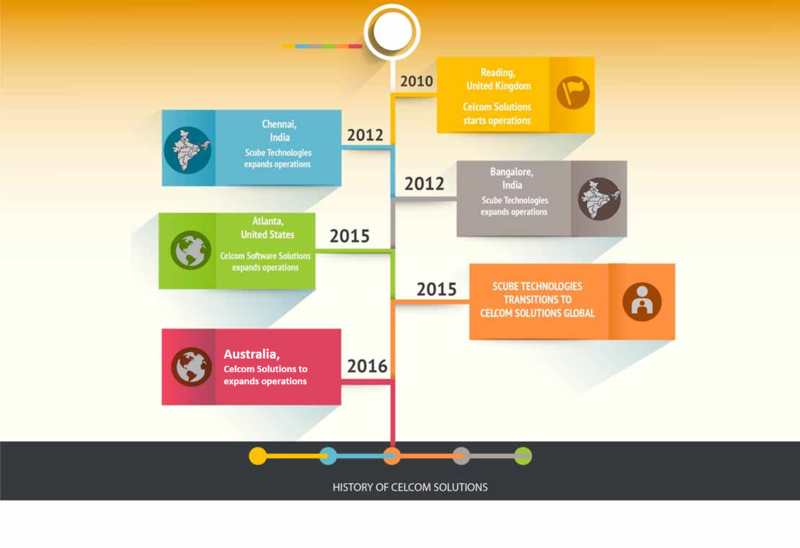 Celcom Solutions was founded in Reading UK, in 2010. In 2012, we expanded our business to Chennai and Bangalore, India in 2012 and in Atlanta, US in 2015. Celcom Solutions has a combined professional experience of more than 20 years. The consultants at Celcom Solutions have had extensive hands on experience in delivering quality services and solutions with passion and enthusiasm. The management team is lead by the co-founders with the frequent help of advisors, who are usually industry veterans. In this respect, Celcom Solutions utilizes the collective intellectual experience of the management team and its advisors to deliver the most economically sound business value to its customers.